I’m not going to post OpenStack full conference summary because I spent more time talking 1 on 1 with partners and customers than participating in sessions. Other members of the Dell team (@galthaus) did spend more time (I’ll see if he’ll post his notes). I did lead an IPv6 unconference and those notes are below. A constantly level of healthy debate. For OpenStack to thrive, the community must be able to disagree, discuss and reach consensus. I saw that going in nearly every session and hallway. There were some pitched battles with forks and branches but no injuries. Lots of adopters. 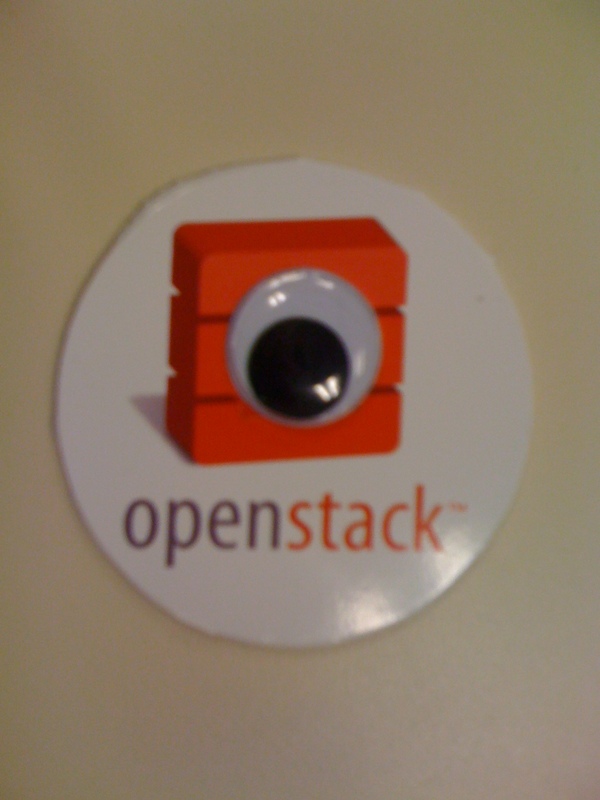 For a project that’s months old, there were lots of companies that were making plans to use OpenStack in some way. Service Providers and implementers were out in force. IPv6 is interesting to a limited audience, but consistently injected. While IPv6 deserves more coverage here, I thought it would be worthwhile to at least preserve my notes/tweets from the IPv6 unconference discussion (To IP or not to IPv6? That will be the question.) at the OpenStack Design Summit. #NTT has IPv6 for VMs and tests for IPv6. If you set the mac, then you will know what the address will be. typing IPv6 address not that hard to remember. DNS helps, but not required if you want to get to machines. using IPv6 not hard – issue is the policy to do it. Until it’s forced. We need to find a path for DUAL operation. chicken/egg problem. Our primary job is to make sure it works and is easy to adopt. where is the responsibility to do the translation? floating IP scheme needs to be worked out. IPv6 can make this easier. unconference session was great! Good participation and ideas. Lots of opinions. We had a hallway conversation after the unconference about what would force the switch. In a character, it’s $. This entry was posted in Greg Althaus, IPv6, OpenStack, OpenStack Design Summit, RackSpace, Uncategorized and tagged community, Greg Althaus, IPv6, OpenStack by Rob H. Bookmark the permalink.